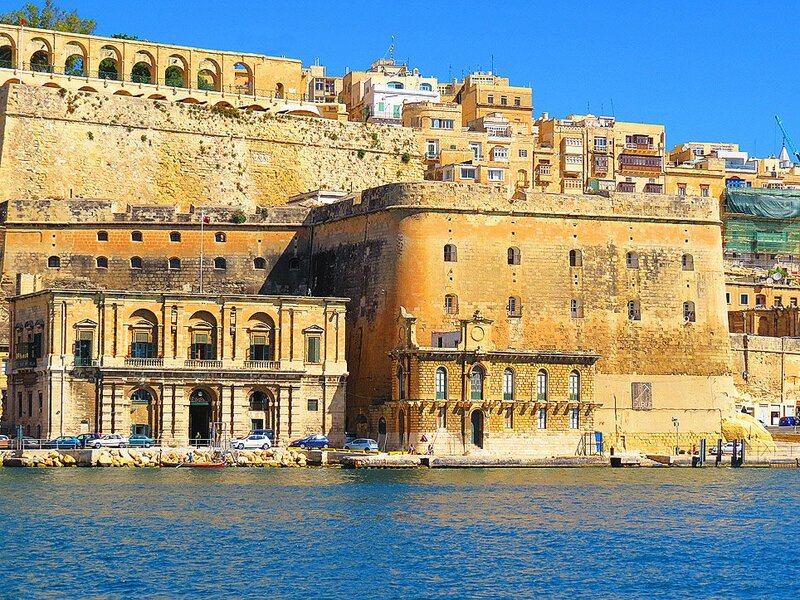 Valletta’s Grand Harbour is one of the finest natural harbours in the Mediterranean and probably the islands’ greatest natural geographic asset, and for a long time its prime commercial asset as well. Malta’s earliest settlers must have found this harbour a welcoming safe haven after the earliest dodgy crossings of the Sicily-Malta channel, and temple complexes are found in the harbour area – the well-known Tarxien and Hypogeum complexes and the even closer Kordin temples testify to the port’s probable relevance even in the Megalithic period. The seafaring Phoenicians surely appreciated the value of the port when Malta formed part of their string of trading posts. 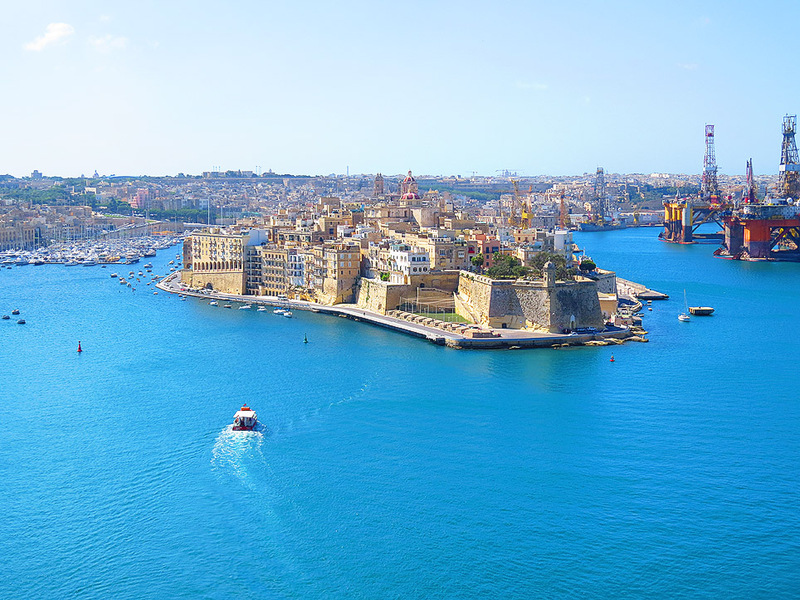 The Romans – initially a reluctant seafaring power – are known to have used Grand Harbour as witnessed by quay remains unearthed a few years ago in the inner harbour area at Marsa. By the Middle Ages the town of Birgu was the only settlement in the port, a tiny fishing hamlet providing basic maritime services and guarded by a fortress– The Castrum Mare – which would later evolve as Fort Saint Angelo. The real history changer came on the 26th October 1530 when Philippe Villiers de l’Isle-Adam, Grand Master of the Knights of Saint John, sailed reluctantly into Malta’s Grand Harbour. The Knights had been offered Malta as a home by the Holy Roman Emperor Charles V after they lost Rhodes to the Ottomans eight years earlier. Initially the Knights did not like the idea of settling in Malta – they found the place arid after Rhodes’ lush valleys and plentiful land. It was only the presence of such a fine harbour that convinced the Knights that Malta was worth a throw of the dice. Eventually it convinced them to stay. It was this decision that ultimately placed Malta firmly in the European sphere of influence and made the island a centre of influence way beyond its minuscule size. A true game changer in the islands’ history. Malta’s Grand Harbour would soon be the theatre of hostilities when the Ottoman Turks besieged Malta unsuccessfully in 1565. 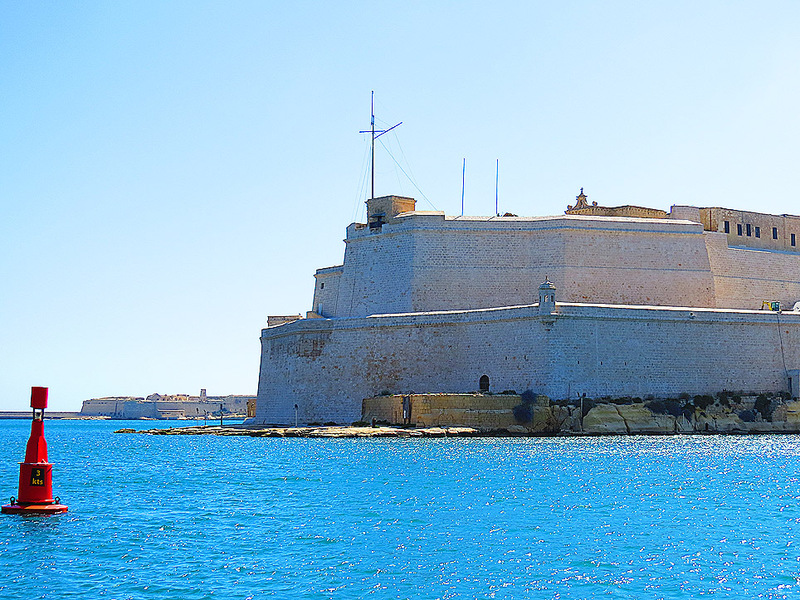 After that the harbour saw robust fortifications thrown up and the building of Valletta on the previously uninhabited Mount Sceberras – a strategic peninsula commanding the whole harbour. The port was blockaded during the brief French occupation of Malta by Maltese rebels on land and the Royal Navy from the sea, eventually forcing the French garrison to capitulate after being themselves besieged in Valletta for two years. During British rule the harbour gained in importance as a strategic base for the Royal Navy and the base of the Mediterranean Fleet. The opening of the Suez Canal further enhanced the harbour’s commercial prospects. World War II action sadly, if naturally, centred on Grand Harbour and much of its immediate hinterland was devastated. Restoration and regeneration efforts after the war were intensive and have resulted in a port geared for war now primarily dedicated to welcoming cruise liners – the seafaring behemoths of peacetime. Most will agree that despite (or perhaps because of) the metamorphosis the Grand Harbour remains one of Malta’s most welcoming and celebrated sights. For a better appreciation and a closer view of the port take one of the frequent daily harbour tours of the Grand Harbour. Or just take the ferry which crosses from Valletta to Birgu and Senglea every half hour. I go very often to Malta, and always do the excellent harbours boat trip – just wish they would stop smoking on board! The island is relatively cheap, and the foods has improve3d markedly since I first went in 1989, and Valletta is becoming quite upmarket. I always stay in Qawra/Bugibba because the getting on one of the many buses at the bus station means that you can get a seat. Sliema is too busy, noisy, touristy, and you can’t get on or off the buses. In an island with more cars than people, a bypass is seriously required. They would have better spent EU money on this rather than on the exotic terminal for ferries to Gozo, and the poor aquarium. We had our 50th Wedding Anniversary there last July. Stayed in Sliema. A week is not long enough. Start to get your bearings and it’s time for home. Wonderful place. Wish we had been sooner. We have just returned from a lovely week in Silema, Malta. Visited so many places of historic value and beaches. Busy but wonderful experiences. Food is superb, as are the people of the island. Local buses and boats are a great way to get about, lots of walking if you enjoy long walks. Sunshine was lovely all week, not like UK as it felt so cold on our return. We shall go back again in July.